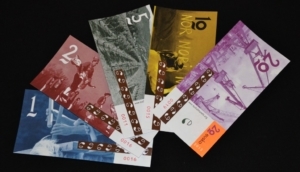 There are ‘banknotes’ of 1, 2, 5, 10 and 20 eusko. No centimes of eusko, if need be we pay the exact amount with centimes of euro. The eusko is a complementary local currency managed democratically and legally by a non-profit organization. WHERE TO FIND YOUR EUSKO ENVELOPES? 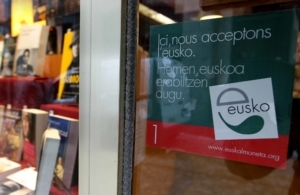 You can get yourselves Eusko envelopes for the Visitors of the Basque Country in Tourist offices, businesses and guest houses the list of which is available on this page. 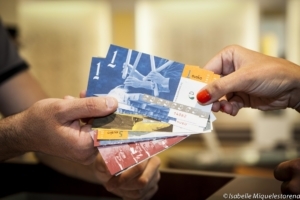 If you wish at the end of a few days to get yourself a second envelope, your temporary membership card will allow you to have a new envelope without paying again two euros of limited membership. AND THEN, WHERE TO USE YOUR EUSKO? Bars and restaurants, dairy stores, fishmonger’s shops, bread and pastry shops, butcher’s shops-delicatessen, shops of regional products, cultural sport and leisure activities, hygiene and well-being, presents and souvenirs: the around 650 storekeepers, professionals and associations of the network Eusko make a commitment in an initiative for the relocation of the economy, the harmonious development of the Basque Country and the defense of the Basque language, the euskara, which is still endangered. Participate too by getting you an envelope of eusko and by going to these professionals! Download directories here (« L’annuaire par zones »), or consult our on-line directory regularly updated there. YOU WILL RETURN, AND YOU WANT TO BE A FULL MEMBER? 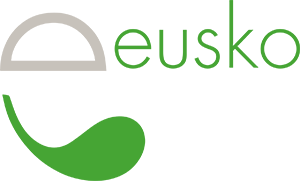 At any time, you can also sign an annual membership to Euskal Moneta via this page of our web site or in one of our exchange offices (online list on this page). 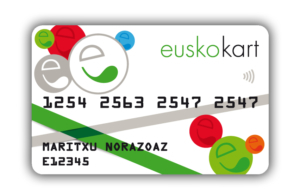 you can also open free of charge an account in eusko and receive your euskokart to pay in the businesses equipped with a terminal of payment for eusko. CLICK HERE TO DOWNLOAD OUR SMALL FRENCH-EUSKARA DICTIONARY!